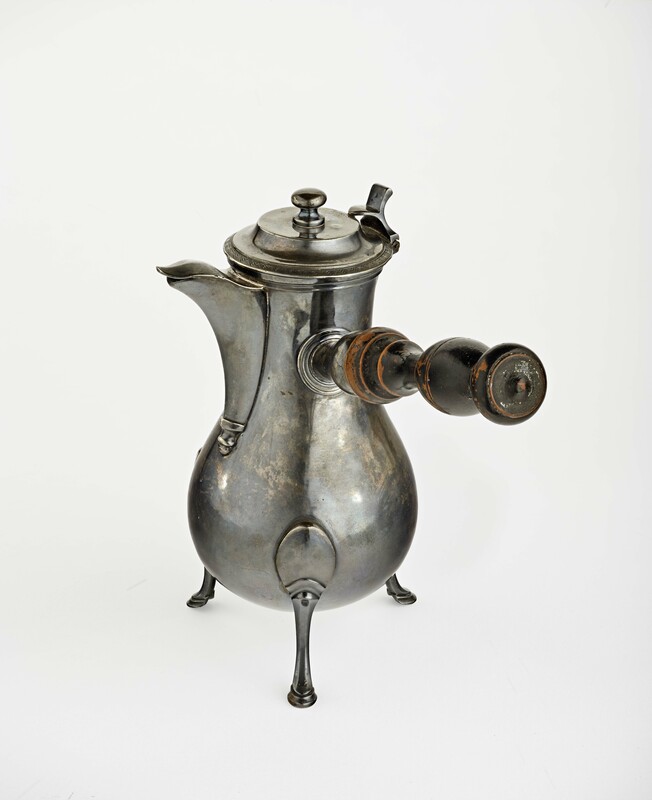 A 19th-century silver and wood pot in which to make chocolate, pertly graceful; 17th-century blue and white Delftware; a Chinese calligraphy panel; a 19th-century carved wooden god from the Ivory Coast; a bronze and gold earth goddess from South-East Asia. These are but a tiny sampling from the multitude of objects with which Matisse surrounded himself in his studio(s). A treasure trove of objects that Matisse once owned has been brought together for this Royal Academy show, combined with the work that they inspired. Matisse thought to ennoble the humblest of objects, to find delight in the unexpected. 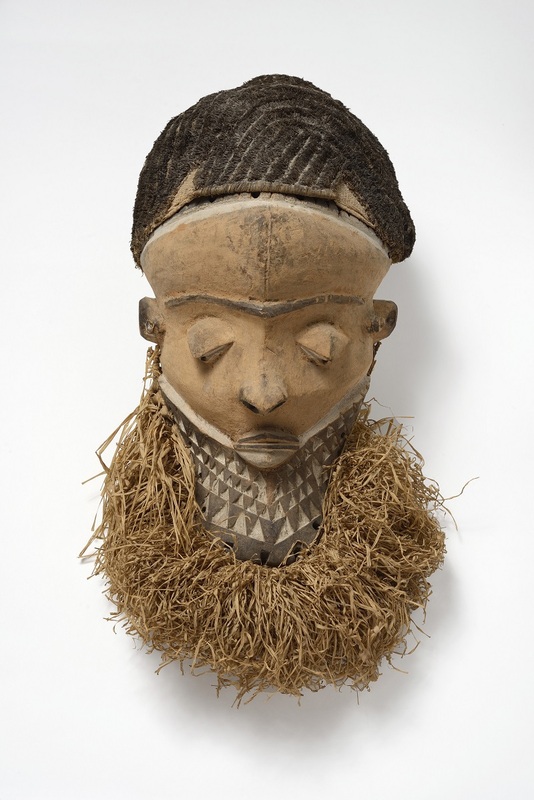 He collected sculpture and masks from Africa during a period when indigenous and often religious and ritualistic art was being appreciated out of context by the most avant-garde artists at the turn of the last century. Indeed primitivism (now no longer a word one can use with any ease) or ethnographic material was hugely influential for both Picasso and Matisse, as for scores of others. What’s not to like about a fine selection of paintings, drawings, sculptures and collages by Matisse put together here with a significant collection of the objects among which he lived? His studio was integrated into his home for much of his life. Photographs show him at ease with his models in this crowded environment, and embody a contradiction: while Picasso lived hard, publicly and socially, Matisse was peculiarly genteel, often working in a white coat as though simply a technican, sometimes even in his suit. What is fascinating in this compilation is the chance to understand what, beyond his models and the views from his windows, caught his eye, often to such an extent that ownership became an important objective. The relationship between the painting or sculpture and its inspiration can be startlingly direct. The Serpentine, modelled in 1909 and cast in 1948, has a direct relationship to Nang Thoranee, the profoundly graceful and dignified south-east Asian earth goddess. His bronze Two Women, 1908 (pictured, Hirshhorn Museum and Sculpture Garden, Smithsonian Institution), is taken directly from the image of two young naked Tuareg women, arms entwined, whose photograph was reproduced in 1905 in a publication called L’humanité féminine. An arrangement of objects on a black marble table top – pot, cup and saucer, jug, fruit, shell – photographed in his Nice studio in 1946 is the infrastructure for the 1940 painting Still Life with Seashell on Black Marble (main picture). The value is to witness the talented alchemy of the artist: from the ordinary to art, transformed by the artist’s eye and hand. This is hardly an unusual way of looking obliquely at an artist’s work. But it is rare to see the real objects and their depictions united outside their home base, or brought together from several collections. 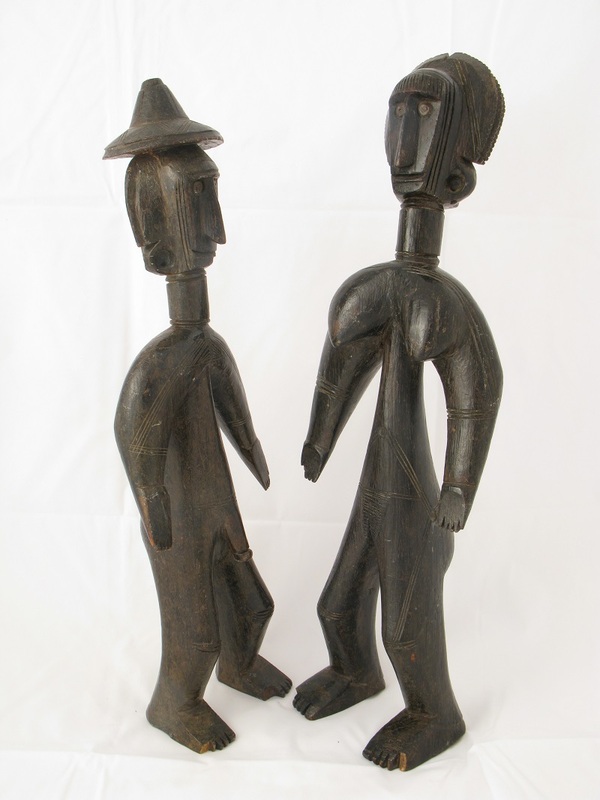 The ethnographic material is marvellous, acquired with an artist’s eye: full of conviction, powerful and heavily stylised shapes, predicated on the human form, minimised, ornamented, played with to convey a sense of some kind of magical power. The brilliant minimalism of some of their representations of the human form are echoed in the drawings where just a handful of lines show us a face, a body. 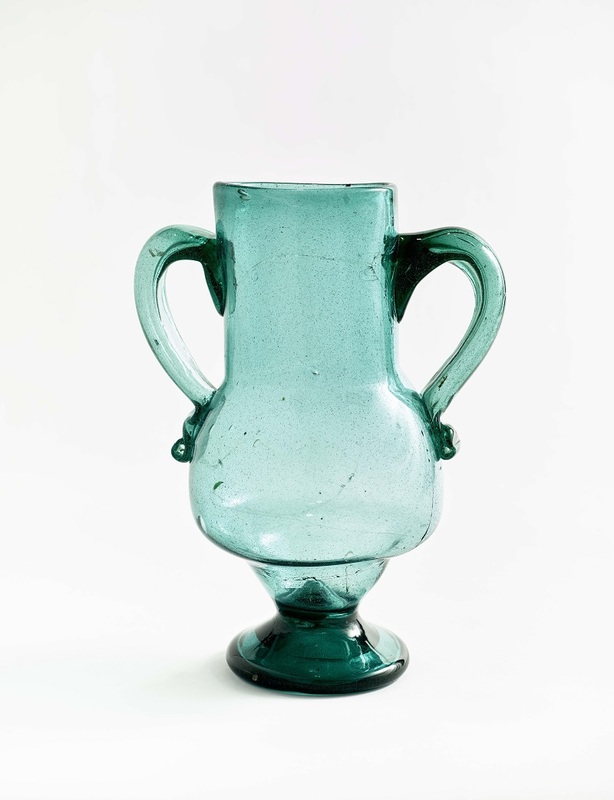 The bowls, vases, glasses and pots were obviously enjoyed for shape and colour, for the seduction of their smooth surfaces, and subtle decorations. The textiles exhibit elaborate and satisfying patterning, and wild combinations of colours. A whole wall is hung with such delights, faithfully echoed in a marvellously exuberant painting The Moorish Screen, 1921 (pictured © Philadelphia Museum of Art). Pattern was crucially important to Matisse: as he said, the subject and its background had the same value. And some of his most famous paintings are indeed of his studio: MoMA’s masterpiece The Red Studio is one such work. There are also some still-life paintings which centre on vases of flowers, the kind of arrangements we see in photographs of his studios. What is missing here and perhaps impossible to accomplish is any sense (beyond photographs) of what the light in the studio, and the profusion of objects of all kinds, actually looked and felt like. But we glimpse what he saw in the things with which he surrounded himself. It is not an accidental accumulation: he chose these objects from many times and geographies. This anthology is an attempt to show something of the mystery of Matisse’s alchemical – and physical – skill as he transformed the things he saw around him through the crucible of his imagination into his art.